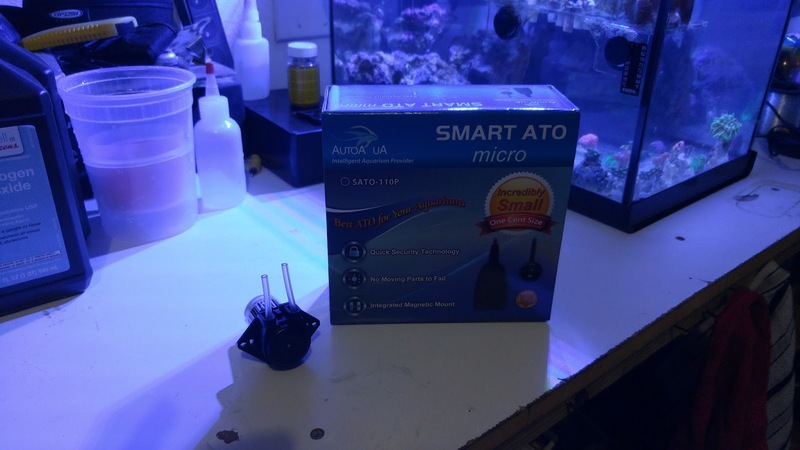 The AutoAqua Smart ATO Micro with a DIY Twist! 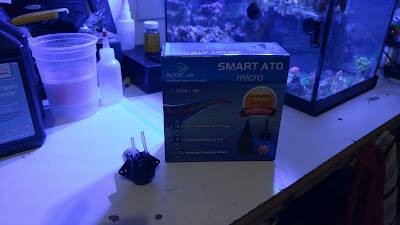 With that said, in the realm of nano and pico reef tanks where space and attractiveness are key components, the AutoAqua Smart ATO Micro shines as a key contender. 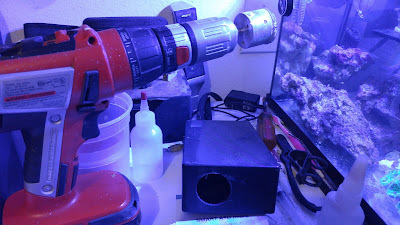 I recently started a small frag tank in my garage and was starting to get tired of manually topping off every night. Also, I wanted something that would split the top offs into multiple, smaller top offs throughout the day. So I set off to find an ATO system that would work for my setup. I wanted something that was small, attractive, and unobtrusive to the eye. I also wanted something that was precise and reliable so I didn’t have to worry about any unwanted issues. That is when I came across the new micro version of the AutoAqua Smart ATO. It is small and sleek and barely noticeable in my small 10G display as well as boasting a nice fail-safe method that we will talk about later. There was only one thing that I did not like: the built in water pump. 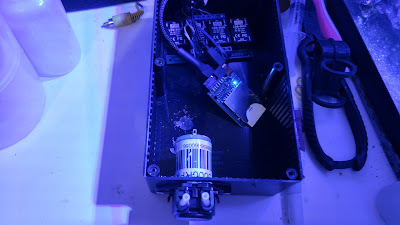 So I set off on finding a way to utilize the small form factor of the ATO sensor, all while swapping out the built in pump for something I liked better. In the past, I have always used either diaphragm or peristaltic pumps as my ATO pump. I find them to be more reliable and I do not have to be concerned with running them dry if I forget to refill my top off container. Also, the slim top off container that I use would not allow for the included water pump to be used, as it would not fit through the mouth of the container. Upon reading up on the ATO on CoralVue’s website, I came to find that they actually give you the electrical requirements for a replacement pump. 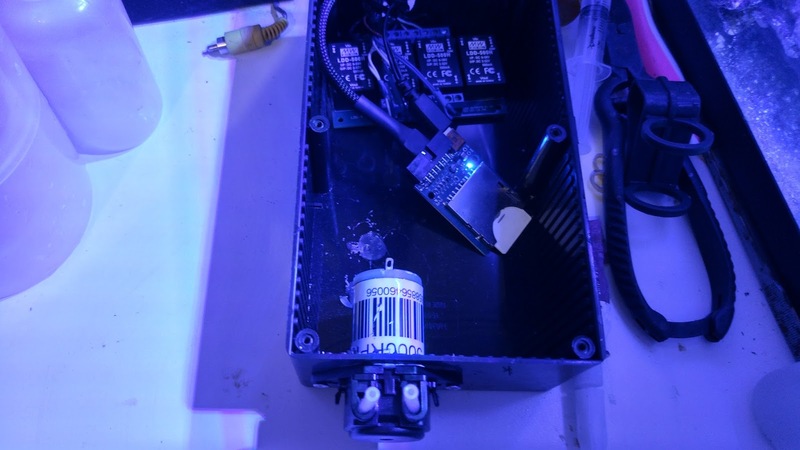 They recommend finding a pump that works on 12VDC and uses less than 10W of power. I was able to find an inexpensive peristaltic dosing pump on Amazon that fit these requirements for just under $13. The ATO system came packaged quite well. It comes with just about everything that you need to set it up, including a good length of tubing for making the run form the top-off container to your desired top off spot. The included instructions are nothing fancy, but more than enough to get the job done. I was very impressed with the size of the sensor. It is tiny, which is exactly what I was looking for. For anyone using the product without modding the pump, I wouldn’t expect it to take any longer than 5 – 10 minutes to install. It is very straight forward and easy to use. 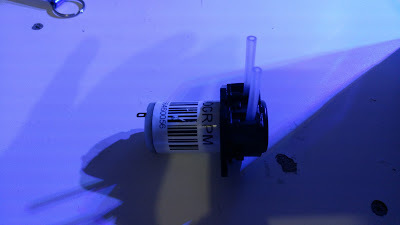 Also, I must note that while I did not want to use the included water pump, it is quite small and would work for most applications, if you were OK with this type of pump. To replace the water pump with the peristaltic pump, you only need a couple tools and an enclosure for the new pump. I already had a project box with some open space, so that is what I used for mine. You can use a smaller box if you like. First, the included pump comes wired to the pump cable that interfaces with the ATO sensor. 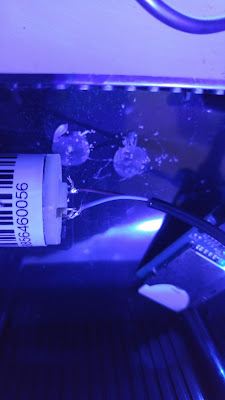 We need to cut the water pump off of the cable so that we can use the cable for our peristaltic pump. 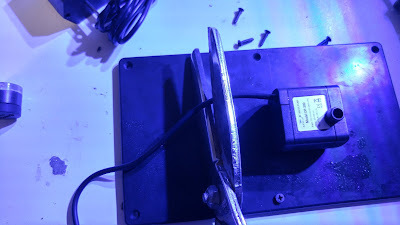 Next, we need to cut a hole in our project box for the peristaltic pump to fit through for its final installation. Choose a bit or hole saw applicable for the size of your pump. Next, install the new peristaltic pump in the project box with some thread forming screws meant for plastic and solder the leads of the pump cable to the terminals on the back of your peristaltic pump. Lastly, you can close up your project box, plug everything in, and test out your new ATO system. I have now been using this set up for about a month and can safely say that it is working just as I intended. 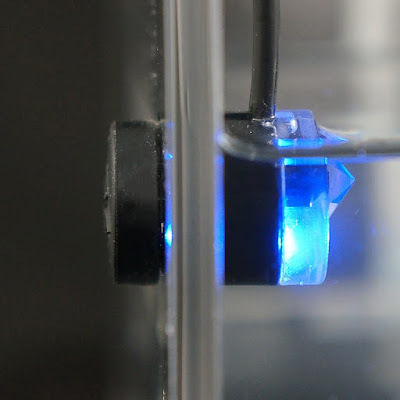 The sensor is very sleek and unobtrusive to the eye. It is also quite precise, allowing me to use it in my display tank without compromising the ability of the ATO system. I have enjoyed the added benefits of coupling this with the peristaltic pump, as well. 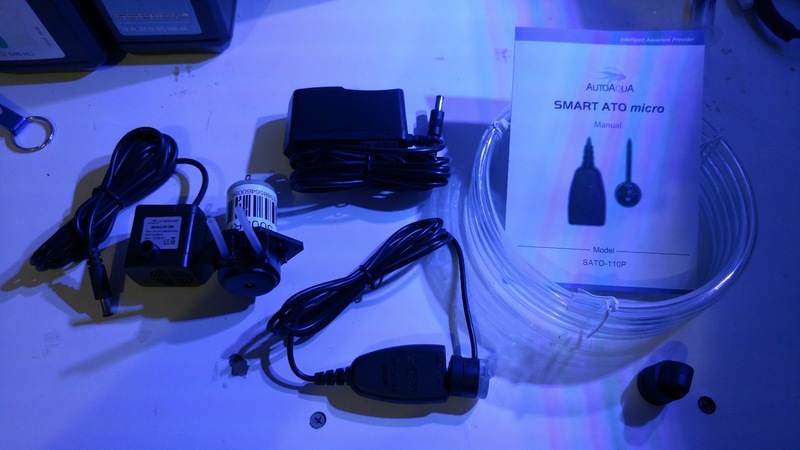 The built in fail-safe feature of the AutoAqua Smart ATO Micro is a very nice feature. It utilizes QST (Quick Security Technology) to ensure that your pump does not get stuck on and overflow or lower the salinity of your tank. Basically, the ATO system remembers the time it took to refill the tank on the very first refill. Then, it compares that to the refill time when the pump is active. If the pump runs for 3 times longer than the first refill, it will shut the ATO system down. This adds a nice layer of protection for your livestock. 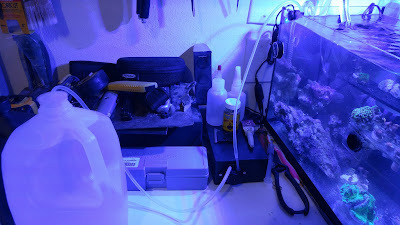 I have not had any malfunctions over the past month, except for 1 instance where I did not have the tubing down far enough in my top off container, causing the pump to run dry. I actually witnessed this malfunction and the built in fail-safe did eventually turn the system off. 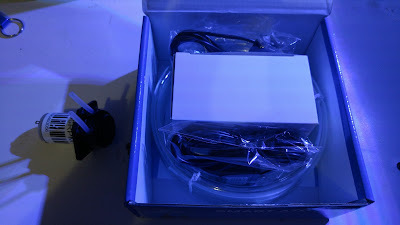 Overall, I would have to recommend this ATO system, both with the included pump or with swapping it to something else.